FIFA has announced India as new hosts for the FIFA U-17 Women’s World Cup in 2020. The decision was taken at the FIFA Council held in Miami on Friday (March 15, 2019). “I would like to thank FIFA for keeping their trust in us and granting us the rights to host the tournament. I am also grateful to the Government of India and the State Governments for their support and providing us the necessary assurances which made winning this bid a reality,” he added. “We felt the football evolution which India attained in the FIFA U-17 World Cup India 2017 needed to continue, and as part of AIFF’s commitment towards development of Women’s Football, we decided to bid for the U-17 Women’s World Cup,” Mr. Patel stated. “The tournament will be massive as this time it will also galvanise the girls of the country, making it more popular,” he added. “The support, and enthusiasm by the Government of India, and the State Governments for this tournament will lead to incremental development in women’s football in the country,” he expressed. “I would like to thank our President Mr. Praful Patel for bringing two back to back the U-17 World Cups to India. Without him we wouldn’t have got the hosting rights.” Mr. Das added. 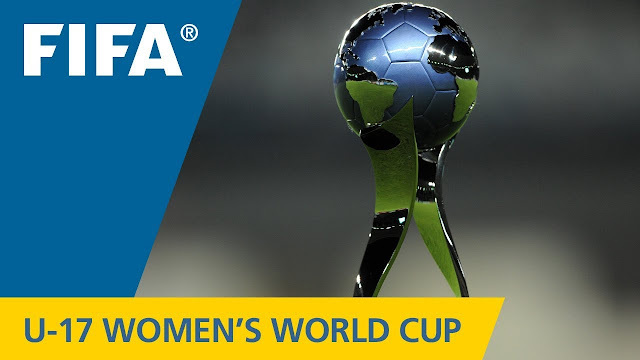 The FIFA U-17 Women’s World Cup was first played in 2008 in New Zealand and is held every two years. Spain stay the current champions when they beat Mexico in the final held in the last edition in Uruguay in 2018.